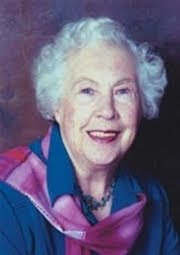 Clare Curzon a prolific author and member of the CWA died peacefully on Thursday 20 May 2010. A stalwart of the St Albans Chapter of the CWA she will be sorely missed by them and throughout the country. Her funeral took place on Tuesday 8 June 2010. 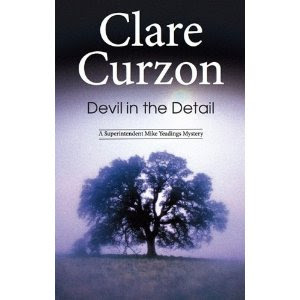 Clare Curzon wrote over forty novels under a number of names but was best known for her Mike Yeadings series that was set in Thames Valley. The first book in the series published in 1983 was I Give You Five Days. She subsequently went on to write twenty-three other books in the series. The most recent one to be published is Devil in the Detail which was published by Severn House Publishers earlier this year. Much of her work concerned the dynamics within close knit communities. Under the name Clare Curzon she also wrote two books Trail of Fire (1987) and Shot Bolt (1988) which featured the character Sian Vassilakis. She also wrote three books in the Stakerly Series which were set in 1900s London, England and featured the character Lucy Sedgewick. The first book in the series Guilty Knowledge (1999) was short-listed for the Ellis Peters Historical dagger in 2000. In 2000 Guilty Knowledge won the 2000 Herodotus Award for Best First International Historical Mystery. She also wrote a number of non series novels. In 1995 along with Gillian Linscott, Peter Lovesey, Dorothy Simpson and Margaret Yorke she contributed to a collection entitled A Dead Give Away. Using the name Rhona Petrie she wrote five police procedurals featuring Marcus Maclurg a Police Inspector in England. The first book in the series was Death in Deakins Wood (1963). The last book in the series was Maclurg goes West (1968). Also under the name of Rhona Petrie she wrote two books featuring Dr Nassim Pride an Anglo-Sudanese forensic Scientist set in Geneva Switzerland. The books were Foreign Bodies (1967) and Despatch of a Dove (1969). Alongside these she also wrote two non-series books Come Hell and High Water (1970) which is a collection of short-stories and Thorne in the Flesh. As Marie Buchanan she also wrote five books – Greenshards (1972), An Unofficial Breath (1973), The Dark Backward (1975), Morgana (1977) and Countess of Sedgwick (1980). I'm very sorry to hear of Clare's death. She contributed so much to the genre, and she will be missed. The Girl with the Dragon tattoo film news.